In The Welfare of Nations, the decade-later follow-up to his The Welfare State We’re In, James Bartholomew – former leader writer for the Daily Telegraph and the Daily Mail – takes us on a tour of the world’s welfare states. It’s fair to say he isn’t a fan. He argues that the welfare state undermines old values and ‘crowds out’ both our inner resourcefulness and our sense of duty to one another – including our own families. Instead of aspiring to be self-reliant, the welfare state makes us self-absorbed. People aren’t encouraged to exercise responsibility anymore; instead, they are handed a plethora of ‘rights’. Welfare states ‘have diminished our civilisation’, Bartholomew concludes. 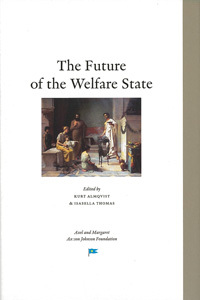 The welfare state has always been a problematic entity, from its modern beginnings in the nineteenth century with Bismarck’s cynical ‘state socialism’– built as much to placate the increasingly politically active masses as to attend to their welfare – to the vast systems maintaining millions of economically inactive citizens across the world today. The welfare state, as its advocates contend, always promises a better society, with higher levels of equality, but, as Bartholomew counters, it also tends to foster unemployment, ‘broken families’ and social isolation. Some versions of the welfare state are better than others. Wealthy Switzerland has a low unemployment rate despite generous social insurance-based benefits. But, at the same time, the Swiss state imposes tough conditions: there’s no minimum wage and workers can be fired on the spot. Sweden’s benefit system is generous, too, but if you can’t afford the rent on a property, you have to move out. In the UK, matters are equally complex. For instance, shared-ownership schemes, ‘affordable housing’ and planning regulations contribute to distinctly unaffordable house prices. Indeed, housing costs have risen from 10 per cent of average UK household income in 1947 to over 25 per cent. For the poorest sections of society, it is worse still. This is despite the fact that the state subsidises dysfunctional, workless households on bleak public housing estates. And what of state education? Nearly one-in-five children in OECD countries is functionally illiterate. The best performing advanced countries have autonomous schools, ‘high stakes’ exams, quality teachers and a culture of discipline and hard work. Compare that to the US, where you can’t get rid of bad unionised teachers in the state schools. Bartholomew convincingly argues that state schools’ ‘shameful’ inadequacy, for all the rhetoric to the contrary, breeds inequality. He fears that the success of the free- and charter-school movement is at risk, too, from ‘creeping government control’. Bartholomew is upfront about his own old-fashioned conservative views. He’s a kind of evidence-based Peter Hitchens, using ‘bundles of academic studies’ to show what he suspected of the welfare state all along. The care of ‘strangers’, he argues, is bad for children and aged parents alike, and damages the social fabric. Over half of Swedish children are born to unmarried mothers, whereas the family in Italy, he says approvingly, is ‘the main source of welfare’, with charity-run ‘family houses’ (no flats or benefits) for single mothers. At a time when Conservatives aren’t really very conservative, it takes Bartholomew to ask important questions about social change. Again, southern Europe offers a useful contrast to the situation in northern Europe. Over half of single people aged 65 or over in Italy, Portugal and Spain live with their children. Just three per cent of single Danes do. Should individual autonomy trump the burden of caring for children and family members? What role should the state play? UK social workers are office-based, writes Bartholomew, and contracted care workers follow ‘rules rather than doing things from an impulse of loving care’. By 2050 over a third of the European population will be aged over 60. Even though the age at which people are eligible for pensions is increasing, state pensions can’t be sustained, says Bartholomew. In Poland, Greece and Italy, pensions account for more than a quarter of public spending. The UK spends nine per cent of its national income on healthcare, the US an insurance-fuelled 18 per cent, and Singapore just five per cent (though Singapore has to put twice that into ‘personal’ health-savings accounts). ‘Wealth leads to better healthcare’, says Bartholomew, but the monopolistic UK system, despite the NHS’s officially cherished status, is one of the worst of the advanced countries for health outcomes, including, for example, cancer-survival rates. ‘Obamacare’ notwithstanding, millions of uninsured Americans – neither poor enough for Medicaid nor old enough for Medicare – struggle to pay for healthcare. Democracies, says Bartholomew, are susceptible to the fantasy that welfare states can solve our problems without consequence or cost. This is despite US public spending increasing from seven per cent of GDP in 1900 to 41 per cent of GDP in 2011. In 2012, France revealed that public spending accounted for 57 per cent of its GDP. But it’s Bartholomew’s critique of the wider welfare culture, rather than his carps at benefits systems, which provides an important corrective to what can be a narrow and mean-spirited discussion. He also offers practical solutions: let’s increase housing supply but abolish public housing; let’s have a system of ‘co-payment’ for healthcare between state and individual; let’s allow schools and hospitals to compete in markets; and let’s give individuals the opportunity to save and insure themselves to pay for social-care needs and pensions (albeit through Singapore-style compulsory bank accounts). So what do we do with the welfare state? As Bartholomew puts it, the welfare state, rather than capitalism or communism, was ‘the ultimate victor of the turmoil of the twentieth century’. But Bartholomew makes clear that this is a hollow victory with many millions left idle and communities undermined. So yes, let’s cut the welfare state down to size and stop infantilising its dependants. But we also need to get more ambitious than Bartholomew allows. He thinks it’s too late to get our freedoms back and argues for a minimal ‘welfare’ state only. But why stop there? If the architects of the welfare state have anything to teach us, it is to be bolder in our visions. Next Next post: Tube Strikes and Dairy Deals – Solidarity or Subsidy?